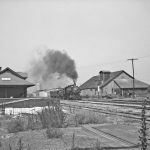 From the Charles Wherry Collection and William Wherry photographic archive comes more photos from Pacific Electric on tour over the Southern Pacific Covina Branch, being pulled by Southern Pacific steam locomotive 2701. “Looking west at P.E. and S.P. Junction at Lone Hill, Calif. 1299 and 2701, 8-23-46. Road Foreman of Engines W.O. Baker just stepped off engine to replace staff in staff machine (booth behind pole). Before electrification of S.P. line”. 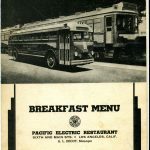 Both Pacific Electric and Southern Pacific utilized a staff machine system to authorize train movements on their respective lines. 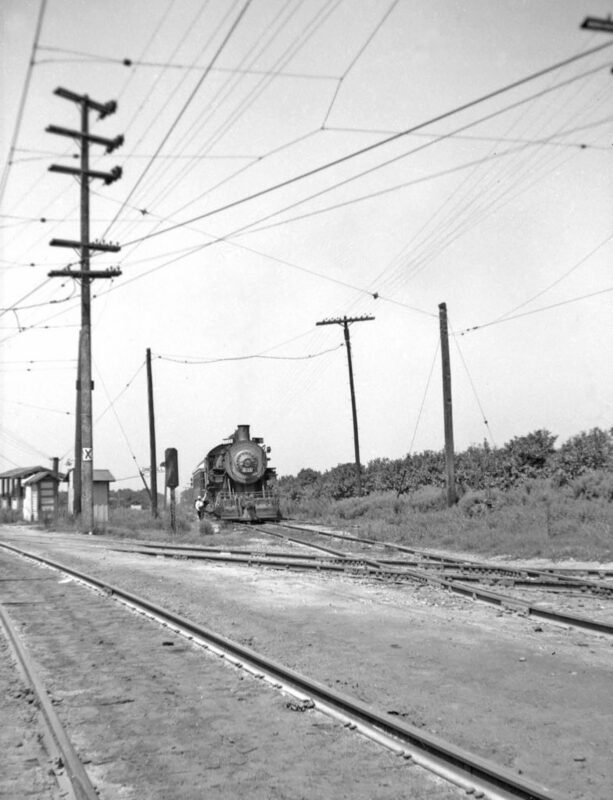 SP’s system began at Baldwin Park with a machine at the PE crossing. Additional machines were at Irwindale, Covina (East Switch), Lone Hill, (Junction Switch), San Dimas station, La Verne Jct. switch and Ganesha Jct. PE’s staff system began at Monte Vista .058 miles east of P.E. Covina utilizing the same machines at Lone Hill, San Dimas, La Verne and North Pomona. “Looking east at Lone Hill. Engine is pulling 1299 under trolley wire before uncoupling. Track to right of 1299 is connection between P.E. 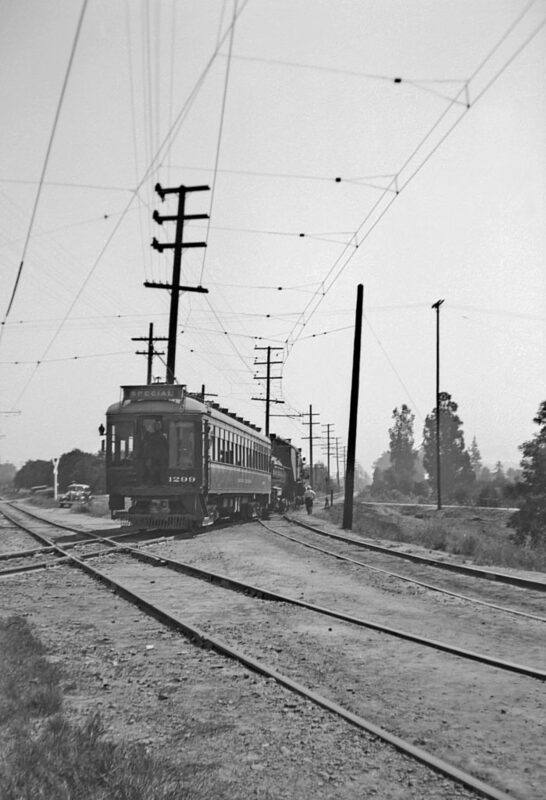 Covina line and S.P. line. Track behind 1299 is P.E. line to San Dimas P.E. 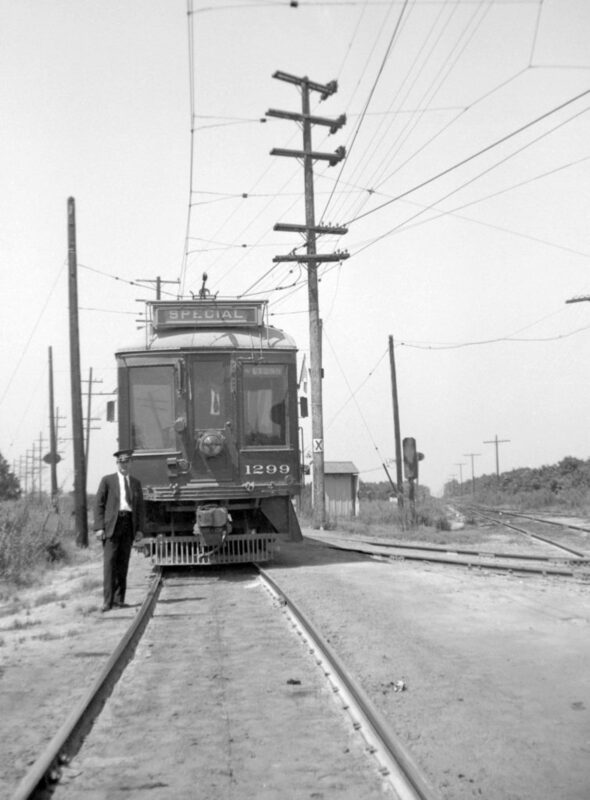 line.” (Conductor Brocato is visible in the end door of 1299 trying to place trolley pole on wire).